Carlos has been a key technology leader in California government for over 20 years. He’s been directly involved in most of California’s significant technology initiatives. Carlos recently retired after a five-year tenure as State CIO and Director of Technology for California. As State CIO he developed and published California’s IT strategic plan and had oversight over the entire State IT portfolio. Under his leadership, California government established itself as a leader in mobile computing, the use of Geo Spatial technologies, Data analytics, Cyber Security, and in the adoption of Cloud Technologies in the public sector. In addition, Carlos lead innovative initiatives to build the capacity of the State’s IT workforce. He established the first ever statewide IT project management office, created a project management academy and partnered with the technology sector to professionalize and build the capacity of the State’s IT workforce. Additionally, Carlos helped bring California’s innovations to other states as a member of the executive committee of the National Association of State CIOs (NASCIO). Carlos previously served as Director of the California Office of Systems Integration – with a $4.5 billion portfolio of California’s largest technology projects. Carlos also concurrently held the position of Assistant Secretary for Health and Human Services and was the Agency’s senior technology executive. He was the principal technology advisor to the Secretary of Health and Human Services and was responsible for the entire HHS technology portfolio. Carlos helped architect the consolidation of the state’s largest data centers and the creation of California’s Department of Technology Services. Carlos previously served as Director of the Teale Data Center – one of the largest public-sector data centers in the world with an annual budget of $200 million and over 200 government agency customers. He lead efforts to modernize the state’s data center and to establish a cooperative procurement and IT security agreements with leaders of other public sector data centers. 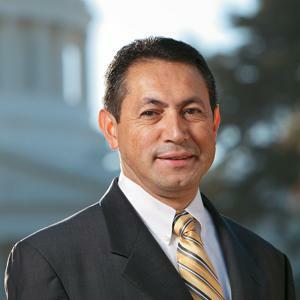 Before heading up the Teale Data Center, Carlos served as CIO for California’s Department of Social Services managing a large computing infrastructure and a statewide data communications network and interacting with California’s 58 counties in the delivery of human services programs and benefits. Reform of the IT project approval and funding models.